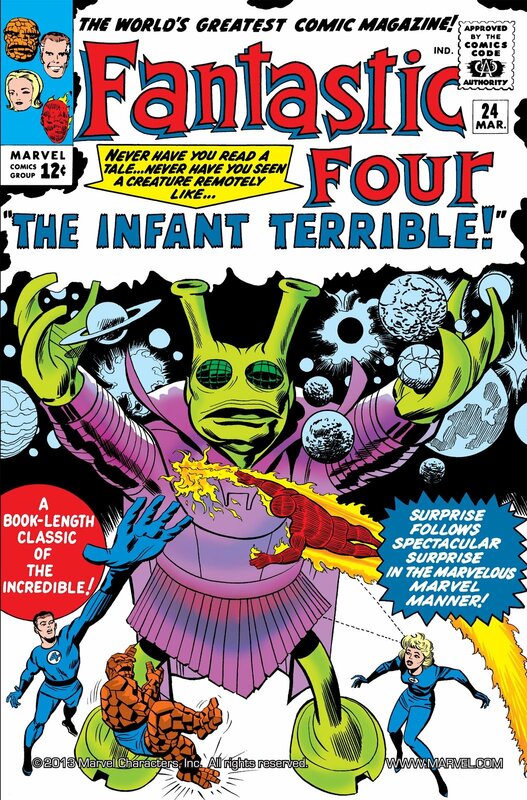 Click Here To See Fantastic Four #24 Comic book! 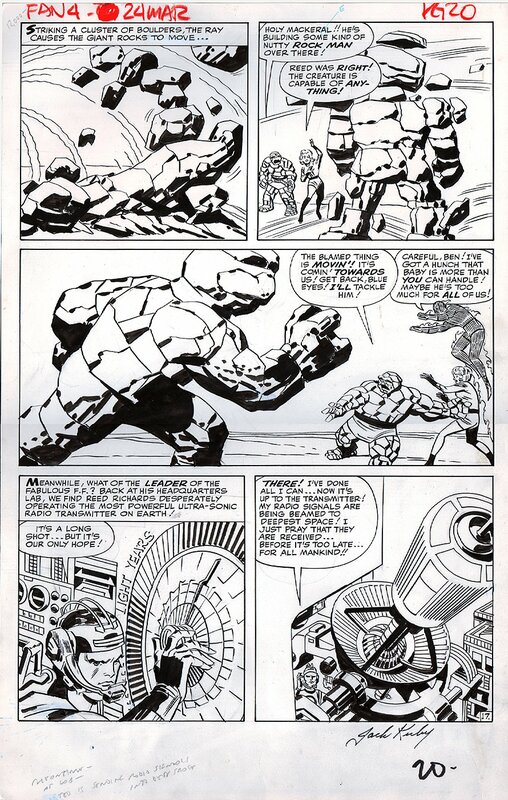 Check out this very nice 1963 LARGE ART SILVER AGE Fantastic Four battle page, which was penciled by the great Jack Kirby, and inked by the great George Roussos [as George Bell], from the story titled: " The Infant Terrible!" This awesome page features The Human Torch and Invisible Girl watching as THE THING battle a giant rock monster who looks like The Thing's big brother! LOL...... We also see 2 classic bottom panels with Mr. Fantastic in both, as he creates some vintage Jack Kirby drawn futuristic machinery to help the other 3 FF members get home! Face it true believer...This page right here has it ALL......The Entire FF team..AND a great battle spread in the center of the page with THE THING! SILVER AGE Marvel Super hero pages are getting increasingly harder to find, so don't miss out on a great opportunity here to own a SUPERB 1963 Marvel superhero FF Jack Kirby battle page! ALL art on our website (including this one) are able to be purchased with VERY fair time payments, and trades are always considered towards "ANY" art on our website! Just send us an email to mikeburkey@aol.com and we can try to work something out.